Small towns and gossip go together like flaky crust and sweet pastry cream. Between the police scanners, social media, and the senior center, it’s like a zombie apocalypse where the undead consume people’s secrets instead of living flesh. But Vangie Vale wants nothing more than to stay under the radar… especially the police radar. In order to clear her good name and keep her face off the front page, this bakery owner becomes extra nosy... with a little side of breaking-and-entering. But when she comes face-to-face with the Sheriff, Vangie can't ignore the fact that one of her macarons was involved in a murder. She has to find the real murderer. 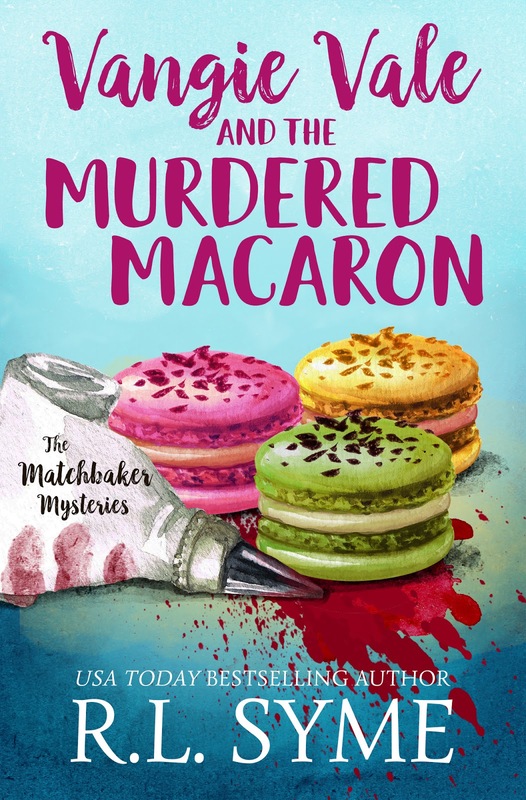 The Murdered Macaron is book one in The Matchbaker Mysteries, a new cozy culinary mystery series from USA Today Bestselling Author, R.L. Syme. I just read a really good book recently, y'all — Vangie Vale and the Murdered Macaron by R. L. Syme. Let me tell you why. Vangie is a well-written, engaging, and complicated character, who captured my interest right away. She is not only a baker, she is the pastor at Saint Agnes Community Church in Saint Agnes, Montana. This second job gives a depth to Vangie Vale and the Murdered Macaron not found in the typical bakery cozy. I was impressed by the complexity of the mystery in Vangie Vale and the Murdered Macaron. There are a lot of suspects to choose from, and I wasn't positive whodunit until Vangie was, too. Author R. L. Syme kept me guessing until the end. Coming soon are Vangie Vale and the Corpseless Custard, Book 2, on September 18, and Vangie Vale and the Strangled Strudel, Book 3, on November 1. I am looking forward to reading them both. 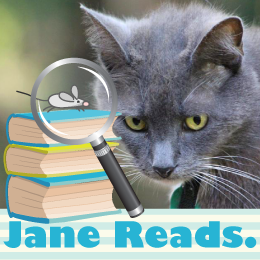 I really like Vangie Vale and the Murdered Macaron, and recommend it to fans of cozy mysteries everywhere, especially fans of culinary cozies. I think it will have special appeal to those who are fans of the Lindsay Harding Mystery series. I really enjoyed Vangie Vale and the Murdered Macaron by R. L. Syme, and hereby bestow upon it Four Kitties! Note: I voluntarily reviewed an Advance Reader Copy of Vangie Vale and the Murdered Macaron. I grew up in a small town in Montana. On a farm, in fact, so it literally didn’t get any smaller. Our nearest neighbors were half a mile away, and that was just in one direction. In the other three directions, it was miles and miles before you’d meet another human soul. Vangie makes a comment in Macaron that there’s “no dark like country dark.” That has been one of the most consistent experiences, when I bring people from the city out into the country. They are always surprised at how dark it is. They never realize just how much of their life is lit all the time. Country dark is black dark. And I love it. There’s nothing quite like being able to lay on your back deck on a clear night and be able to see the Milky Way. People in the city look up and see a couple of stars, and they have no idea what it’s really like to see the night sky when it’s clear and dark. It’s almost always clear in Montana — they don’t call it Big Sky for nothing — and always dark. I find it comforting, though. When it’s too light out, I don’t trust it. One of my favorite things about small towns is the way everyone feels connected to everyone else. We joke about people from small towns leaving their car keys in their cars, but there’s a reason we can do that. When you innately know that your actions impact everyone in your community, and thereby, yourself, you act much differently than you would have. You see how your life impacts other lives in a much more real way than if you were in a big city. That’s part of what makes cozy mysteries such a good fit for small town life. Everyone knows everyone else’s business, and everyone knows what the pressure points are. But at the same time, with that much expectation of divulging everyone’s lives and secrets, people who have something to hide just go deeper. And deeper. That is what happened in Macaron — the first book in the Matchbaker Mysteries series. Someone has a secret and they think everyone will want to know that secret. To protect it, they do some awful things. It’s sort of amazing to think about the lengths that people will go to, in order to protect a secret. While the secrets of Saint Agnes are buried deep — in more ways than one — there are other benefits to being new in a small Montana town. One is the colorful characters — the Derek Hobsons and the Emma Brents, the Loretta Mayhews… they are fantastic sources of entertainment. But Vangie is really only interested in justice. And when she realizes that justice isn’t being done — or hasn’t been done — she will stop at nothing to see it happen. She’s been one of my favorite characters ever, to write, and Saint Agnes is one of my favorite places. It’s got so much flavor from real small-town Montana, and I worked hard to make it feel as real as possible. I hope you enjoy it as much as I did! Rebecca Syme writes small town romance as Becca Boyd and cozy mystery as R.L. Syme. She is a long-time foodie and loves fancy cheese. Becca calls the mountains of Montana her home and draws inspiration from the beautiful vistas and heartwarming people. She is the USA Today bestselling author of the Line of Fire series of sweet romances and part of the Chick Tales series set in Somewhere, TX. You can find her on Twitter talking #fancycheese or #Chopped, and on Facebook with her fans in Becca Nation. to a randomly drawn winner (U.S. only) via rafflecopter during the tour.